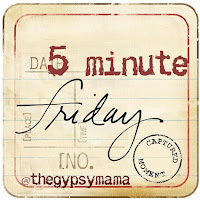 It’s ‘Five minute Friday’ time! It’s inspired by Lisa-Jo over at The Gypsy Mama. The idea is that you write for five minutes flat on a topic, without worrying about whether it’s right or not. It’s kinda fun! Check out others’ interesting 5-minute posts on the topic by clicking on the button below. I was thinking about the creative process and how to go about getting unstuck when one is stuck on what to write. I have all these ideas for blog posts at the moment but not the creative energy to write them – I’ve lost my impetus somehow. I feel like maybe I am empty. It’s not writing I need, I need some life! I need some living! I haven’t left the house in 3 weeks, and I think I am starting to feel it. Tomorrow I think I will go to the sea. I don’t need new ideas, I just need a fresh perspective. Tomorrow I will see the sea, and then see how things look after that. What things revitalise you when you’re short on creative energy? 20 Responses to Blocked or Empty? “Tomorrow I will see the sea, and then see how things look after that.” – That’s beautiful. I find that being in the presence of vastness and mystery always helps put things in perspective. For me, it always used to be the mountains (still is, although I don’t live near any right now :(). But once I got up on higher ground, so much seemed to grow and shrink to its proper size. Somehow I think writing about writing itself brings out my thoughtful poetic bits. Do you find that? I definitely know what you mean about mountains. I think there is a stillness and awe at the top of a mountain and at the edge of the sea. You need an octopod (I assume that is the animation to which you refer). That would offer a new perspective… Jon’s commute might be rather awkward though. Tanya, so nice to meet you through FMF. Since I was just in the UK, wondering where exactly you live by the sea? We drove through so much beautiful country in the North of England through the Lakes District. Sometimes when I feel the way you are feeling I just write down my thoughts, even if they are not fully formed and curiously they beging to take off in the act of writing. Or I take a walk by the sea five minutes from my house with my camera. That usually does the trick to brighten perspective. Hi Shelly! Thanks for paying me a visit! We live in the South West. The Lakes are so beautiful though – I love the reflection of the mountains and sky in the rippling water. I love the idea of having a camera-walk! You’re right – having a camera in hand forces you to look at the created world as though framing a picture – it changes the way you look at things. I would imagine that you’ve got a few (thousand?) inspiring images from your latest travels… Hope that feeds back into your soul and your writing. What a great post! I wish I lived five minutes from the sea. We are landlocked thousands of miles from any ocean. We did visit it a couple weeks ago and I was struck again that even over the bustle of a crowded beach the ocean’s presence is so…huge. For me it’s the moon. I’m actually in the process of writing a blog post about it. And really, reading your words is helping me sort out a couple of my thoughts. I LOVE the quote about being empty, not stuck. Found you through 5 Minute Fridays. Thanks so much for stopping by and for your encouraging comments! I’m really intrigued about you liking the moon… though the last time I stopped to look at the stars on a clear and warm night I found it was really soul-soothing. Nice to meet you on here! Ok, well weeks after I began it, I finally finished my post about the moon. Where does the time go? I’ve been enjoying your blog very much since I found it, by the way. Thanks so much for sending this link – I LOVED it! Thanks for stopping by and commenting. I did go listen to “Beautiful Things” and it was great! Good question! I think it is the living, or the stopping to reflect on the living that helps me. Generally I find I have more to write when I’ve chatted through things with the Maker of the Universe, he helps me see afresh and work out what is going on in my internal world, then I find it’s easier to write about stuff in a helpful way. Sometimes just getting on with it helps. Having a specific place and time to do it helps. Occasionally forcing myself to sit at the keyboard and tap away helps. But mostly it’s in the stopping to hear the voice of the one who loves me most, who offers what is really going on in reality that makes me want to write again. I need to chat things through with God. Probably. But then I worry that He won’t say anything! My problem with writing is “Fibro Fog” or “Fibro hands” I have lots of ideas, but can’t put the words together in the right order, or I can’t physically type them in. I sometimes use voice to text, but on a bad day It won’t recognise my voice! My help at times like this, apart from God, is music – it lifts me and re-aligns my soul. Hi there, Kay – lovely to see you on here! Sounds very frustrating to be reliant on voice software – sometimes I think it takes a good deal more boldness to be able to speak something out loud in a room, even if that room is empty, than it is to just tap away in silence. I can definitely identify! I made the ‘vow’ when I started my blog that I wouldn’t write just to write, but only when I truly had something to say… and there have been quiet weeks on my page. 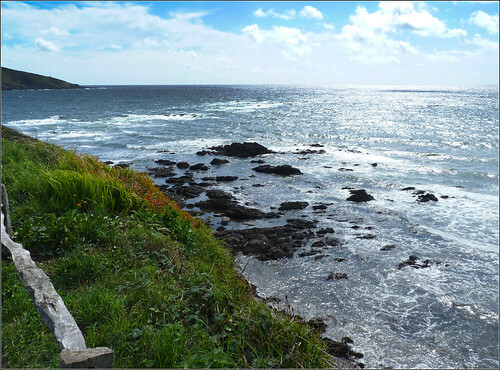 I also realized that you have to live to write as opposed to the reverse… Have a great weekend~ I hope you see the sea and are inspired!! Wow, I have felt the same thing lately. I have not had the energy to write out posts and I know I need to live life, and I know I need a new perspective. Sending you a ‘high-five’ for feeling the same!